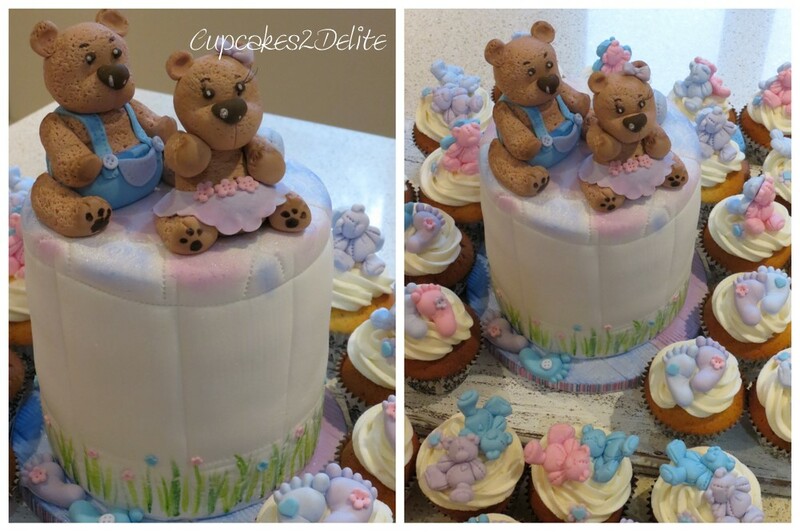 Janita ordered this Twin Teddy Cake and these cupcakes for a baby shower recently. 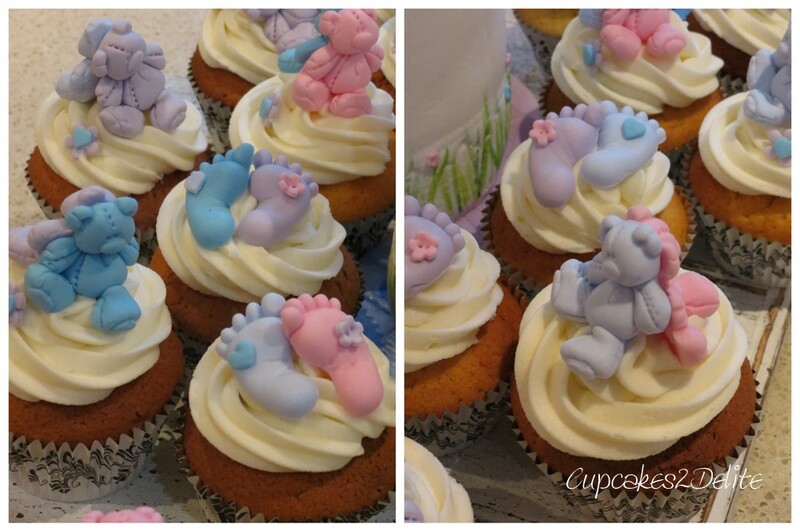 The inspiration for the cupcakes was her delightful invitation with its cute teddies in shades of lavender, pink & blue, and of course the twin baby boy and girl. The cake was a simple vanilla and vanilla bean buttercream barrel cake which I set on a board covered with blue & lavender wood embossed sugar paste. I lightly dusted the top of the cake and painted the grass detail at the base of the cake. 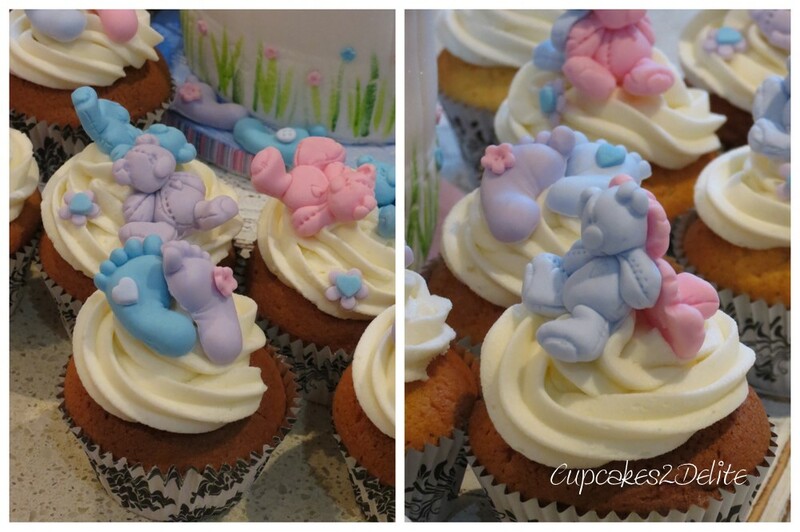 The twin teddies sitting cutely on their cake are dressed in their tiny blue and lavender outfits ready for their party. 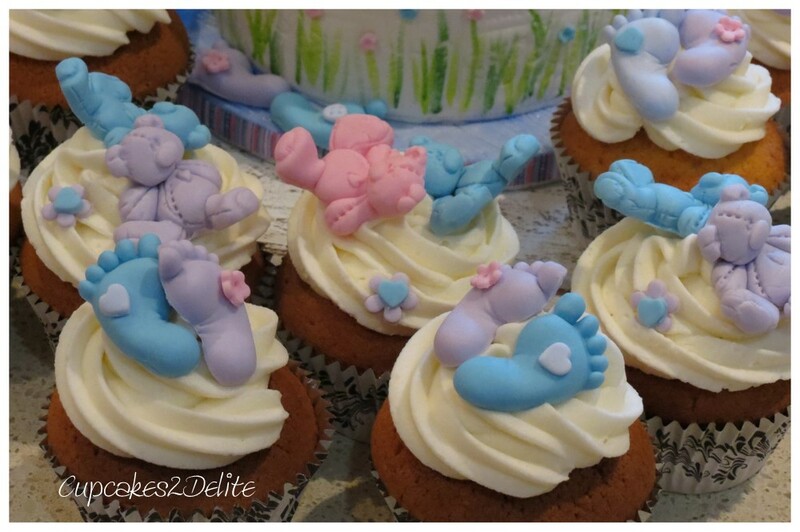 Most of the cupcakes are topped with twin teddies sitting back to back or nestled in the creamy iced layers and the others have a twin boy and girl footprint to celebrate the imminent arrival of the babies. I am sure this family will be blessed with these twins in their lives and I wish them double the laughter, fun and joy that all babies bring into this world!